In Italy, each region has its own type of pasta but, sometimes, even a city can have its signature pasta! 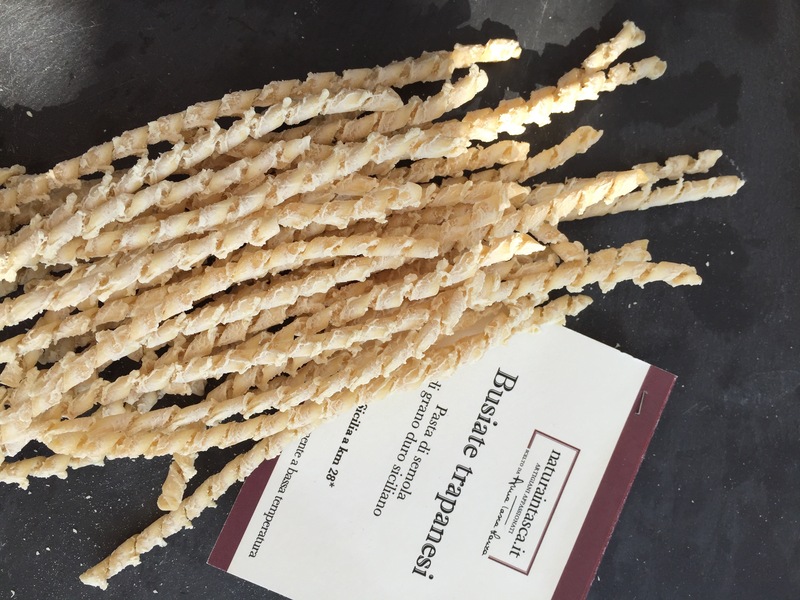 This is the case for Busiate from the city of Trapani, a type of spiral-shaped pasta whose fame has not yet gone beyond its regional borders. It takes its name from the thin stem (busa) of a typical Mediterranean plant, the Ampelodesmos mauritanicus, locally called the Disa. In the past the fresh pasta was wound around the busa to form its characteristic long spiral shape.